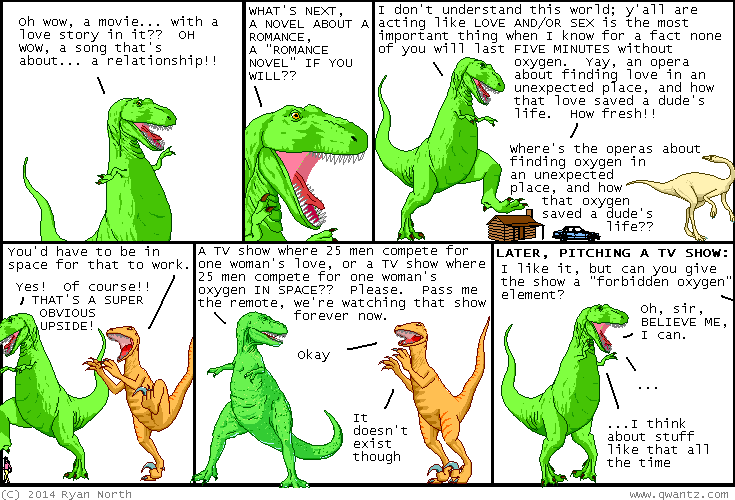 Dinosaur Comics - February 25th, 2014 - awesome fun times! –Therefore, the books we have today are the peak of the art! February 25th, 2014: So far this year I have shared a meal with TWO former Olympians entirely by random chance, and in case it happens a third time in as many months I've looked up an etiquette thing that I will now share with you. When someone reveals that they've competed in the Olympics, are you allowed to say "...Did you win?"